In 1974, Jeff Wayne embarked on his biggest project to date. A musical version of H.G. 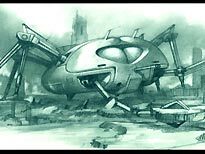 Wells classic sci-fi novel, The War of the Worlds. Originally conceived as a single album of music, it rapidly expanded to become a double album with music, songs and spoken passages. Along the way, Jeff managed to enlist a staggering array of talent. 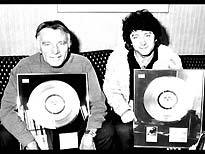 Richard Burton, David Essex, Phil Lynott and Julie Covington being among the most well known. 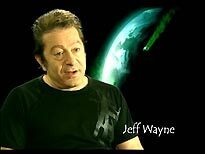 It was one of those ‘concept’ album ideas which could have been a complete disaster, but in Jeff Wayne’s magical hands it became a magnificent groundbreaking album which to date has sold over thirteen million copies worldwide. The original novel by HG Wells is rightly regarded as one of the all time classics of the genre. Its simple narrative story telling of how invaders from the planet Mars arrive and conquer the Earth. It was this novel that Jeff Wayne decided to create a musical version of, having picked it out of a shortlist also containing John Wyndham’s The Day of the Triffids and Aldous Huxley’s Brave New World. Deciding that this story lent itself perfectly to being interpreted through music, Jeff and his father, Jerry Wayne, set about obtaining the rights to the story. Gaining these rights in 1975, it took a further three years before the album was released. Originally it was planned as being a single disc release but as recordings progressed it became clear it would need to be a double album. Deciding on songs and guest artists for the main roles resulted in the budget working out at almost twice that first planned. With CBS records only footing half the bill, it fell to Jeff Wayne to finance most of it himself. With an estimated final cost of £240,000 and CBS only contributing £75,000, the resulting shortfall of £165,000 was a large financial gamble for Jeff. But due to his passion for the project and the brilliance of the final production, its success was assured. Doreen Wayne (wife of Jerry Wayne) was instrumental in creating the most important aspect of this album – the script. No matter how good the music, if the narration and acting parts were not clear and understandable, it would result in an album that was very inaccessible. She tried to stick as close as possible to HG Wells’s vision. A few changes were required however. The major one being the decision to have just one narrator telling the story. In the novel, the Journalist has a brother and the narrative is split between them. This would have been confusing for audio so they amalgamated both parts into just one. She also decided that a parson was more well-known at the time as being from the church than the original curate – so created Parson Nathaniel and his wife, Beth (the only character not to have been in HG Wells’s novel). Jeff then asked long-time collaborator Gary Osbourne to work on the lyrics (The Spirit of Man, Thunder Child and Brave New World). Jeff thought Gary had the ability to write lyrics that could convey the story and also work in their own right as potential single releases. So, working closely with the Wayne’s (Jeff, Jerry and Doreen), Gary set about writing the lyrics. The only song used which was not originally written for the album was to become the one most associated with it – Forever Autumn. The track was written by Gary Osbourne and Paul Vigrass, as the background music for a Lego commercial in 1969. Forever Autumn became the love song from the album – brilliantly performed by the Moody Blues’ Justin Heywood. With all the songs now written, the album was recorded as a demo using a number of session singers Jeff had worked with before. This demo version helped them tighten up sections and elements of the script and also provided a showcase for approaching the required guest stars for the lead roles. By March 1976, things were moving along well. Advision studios in London were the venue for the recording, having been used by Jeff since 1969. It was here that studio engineer Geoff Young made his considerable contribution to the album. His role involved keeping all the recordings on track and overcoming the many technical difficulties of this album. It soon became clear that the standard 24-track recording method was not enough for this venture. So, becoming one of the first studios to use a special device allowing two 24-track machines to be linked, this became one of the first 48-track productions ever. This had never been tried before so Jeff’s production was actually the test of this new technology. The recording sessions usually ran for more than twelve hours a day and an incredible amount of material was recorded, revised and recorded again. Some well-known musicians of the time were involved including Herbie Flowers on bass guitar, Chris Spedding on lead guitar and Jo Partridge on rhythm and acoustic guitars. Ken Freeman was the synthesiser wizard, while George Fenton provided some of the distinctive harp, tar, and santur sounds. 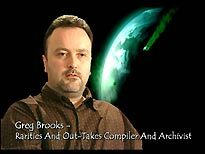 Ken Freeman, in a bizarre coincidence, resurrected his love of three-legged alien invaders when he wrote the theme and score to the BBC series The Tripods. He is now better known as the creator of the BBC’s Casualty and Holby City themes. Due to the continual evolution of the album, what was planned as a few weeks of work soon become many months. Eventually, a basic version was ready and the time came to add the narration. Richard Burton was the top of the list. Never expecting to get him to participate, Jeff and Jerry non the less sent him a letter of introduction and a draft script. Coincidentally, Richard Burton had just read the novel and liked the idea so much he agreed to do it. 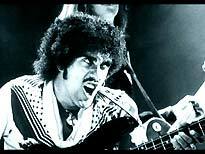 Having secured someone of his stature, they proceeded to cast the remaining roles of the Artilleryman (David Essex), Parson Nathaniel (Phil Lynott) and his wife Beth (Julie Covington). Recording continued into 1977 and by the middle of the year all that was left to do was edit the material and create the final mix. 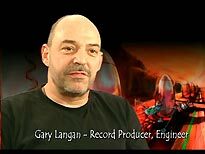 Having created all four sides of the album as separate mixes it was discovered that somehow the master tape of the final mix for side four of the album had been destroyed by a tape operator – thinking it was actually an out-takes reel that was not required. This could have been a disaster but, Jeff being Jeff, he returned to the studio and recreated the final side again. Jeff suspected that this second mix was even better than the original one. Having spent three years of his life and most of his money on the project it was now time to deliver the master tapes to CBS records. CBS were under no contract to release the album so there was a very real chance that they would reject it. Their contract said that they would make a decision within thirty days. In the end, they asked for another thirty days in which to make up their minds and the final answer was “yes” thankfully. They accepted the album, convinced they had a winner on their hands. It was finally released to an unsuspecting public on the 9th June 1978. The launch took place at the London Planetarium and it entered the UK album charts at number twenty-four, before climbing to number five. Unfortunately, it never reached the top spot but it has remained in the UK album charts most months since its release. Since its release it has sold over thirteen million copies and won many awards, including two Ivor Novello awards. It was also voted the Best Recording in Science Fiction and Fantasy in 1979 – by a panel of judges including George Lucas, Alfred Hitchcock and Steven Spielberg (soon to unleash his own version of The War of the Worlds). The album has been released internationally with foreign language narration. The most well-known of these being the Mexican Spanish version with Anthony Quinn replacing Richard Burton. For these versions, the songs and music remain in English by the original artists but the spoken parts are in the appropriate language. However you first discover this album, be it the original vinyl release, the re-issued CD album, the highlight album, the computer game or the Remix Album – it has certainly stood the test of time and remains a very striking and iconic creation. Now, in 2005, Jeff has delivered the ultimate release of his extraordinary vision – the seven disc Collector’s Edition. For something as special as this album, Sony/BMG have given us a superb deluxe Collectors set. A lovingly packaged thing of beauty. Mimicking the size of the original vinyl album, this 12” x 12” package contains not just seven discs but an eighty-page book giving myriad insights and details into both the making of the album and other relevant items in the War of the Worlds universe. This book has been thoroughly researched and written by archivist Greg Brooks. An introduction by Jeff himself starts us on a journey through the history of The War of the Worlds. Starting with information about HG Wells and the inspiration for the original story. Following this we get an in-depth history of the making of the album. Contained throughout all these pages are many photographs showing musicians at work during the recording sessions, sleeve images from the various releases, book covers and other assorted pictures – including some truly amazing CGI work. Next we get the complete programme. This is the text of the story as ready by Richard Burton, with all the accompanying song lyrics. So, you can read along while you listen. A short section with more photographs of the remixes and re-issues covers leads into the most fascinating section of all – the rarities. All four discs containing rare material and out-takes are catalogued with great detail. This section should be read while listening to the final four discs of the set for maximum effect. Finally we have a biographies section, covering all the artists involved along with Jeff, Jerry and Doreen Wayne and the great HG Wells. This book is a full colour glossy affair – the reproduction is perfect and it is a pleasure to read. Anecdotes and interview material is included from Jeff Wayne, Gary Osbourne and many more. It is clear that the author has a great passion for this material. This book alone is almost worth the price of the set, but of course we also have the seven discs to examine. These first two discs contain the actual double-album. They are a hybrid SA-CD disc, which means they contain two distinct layers. A normal CD layer which gives you access to the normal stereo mix, and an SACD layer which gives you the high resolution stereo and 5.1 surround mixes. The new stereo remix (both CD and SA-CD) is surprisingly refreshing. If you are familiar with the original version then this new one will treat you to sounds and instruments which were lost in the sound mix back in the late 70s. Everything sounds much cleaner and crisper than the original mix – this can be attributed to the revisiting of the master tapes and sampling the tracks at high quality. Once all the tracks had been isolated and re-synched this new mix was created. This shows just how good an album from thirty years ago can sound if treated with great care and skill. While the stereo remix is great, the 5.1 mix is truly mind blowing. Richard Burton’s narration sounds riche and godlike – the resonance in his voice sends shivers down your spine. Once the music starts you are enveloped in a large and expansive field of sound which demands your full attention. Sound effects bust forth from all the speakers and instruments pan around you with stunning clarity. The vocal performances are always clear and precise while complementing the music to perfection. There are many standout moments in this mix, with my personal favourite being Phil Lynott and Julie Covington’s Spirit of Man track. The interplay between the two actors and the music is simply breathtaking! Having listened to a great number of 5.1 mixes of classic albums, I can say with no element of doubt that this is the most accomplished, beautiful and immersive mix I have ever heard! This disc is a slight disappointment when compared to the rest of the material on offer. It offers 17 remixes but little new if you already have the ULLAdubULLA remix album from a few years ago. Twelve out of the seventeen tracks are directly lifted from this earlier album. The best remix being Forever Autumn : N-Trance Remix (track 3). This takes the quiet and relaxed original track and delivers it with a thumping disco/house beat – a truly great remix. If only more were like this! Unfortunately most of the remixes don’t really go anywhere special. Two remixes that are welcome are The Eve of the War : Ben Liebrand Remix (track 14) and The Eve of the War – 1980 Disco Mix (track 12). These two mixes are both very good representations of the main theme. They sound a little dated by today’s standards but are well worth a few minutes of your time. Also worthy of note are two very strange remixes. 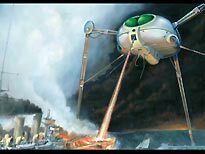 Tracks 11 and 17 both provide a mixing of elements of War of the Worlds and Jeff Wayne’s other musical epic, Spartacus, which was narrated by Anthony Hopkins. These mixes are very strange indeed. They try to interweave music and elements from both albums but the results are not entirely successful. With this disc being the weakest in the set I suspect most people will only listen to it once. Discs 4 to 6 are classed as the Rarities discs. These contain lots of gems from the archives. Never heard before in any form, these discs are a fanatics dream. We are treated to alternate takes, early demo versions, alternative artist versions, outtakes, mistakes and a whole range of other fascinating and interesting material. Some of the best tracks being alternative versions of Brave New World (with David Essex) and a different singer (The Moody Blues' John Lodge) having a crack at Thunder Child. Some tracks are downright funny – I’ll not forget Richard Burton’s attempts at saying Billericay in a hurry (disc 4 track 31). The book goes into great detail about all these tracks, telling us the story behind each track and pointing out things to listen for. It is interesting to hear how a track has developed from some of these early takes through to the final version used on the finished album. Some tracks are featured more than others, for example, most of disc five contains out-takes and different versions of material from The Spirit of Man. This is because some tracks are more complex and required more editing/revisions than others. Another interesting find on these discs are snippets of the Spanish and German language versions. These are strange things to listen to when you are so familiar with the English version! Finally we have the complete narration as performed by Richard Burton (disc 6 track 17 onwards). Only 40% of Doreen Wayne’s powerful script made it into the final edit of the album. It is a testament to Richard Burton’s talent that you can just sit and listen to him talk for thirty-six minutes without your mind drifting. This is possibly one of the most outstanding moments of Richard Burton’s long and distinguished career. The final disc in this amazing set is a ninety-two minute documentary which takes us through the creation of this great epic. 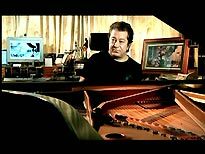 Hosted by Jeff Wayne himself, it is a retrospective look back at the making of the album. Featuring input from Greg Brooks (archivist) and Gary Langan (2005 restoration and remix supervisor) this candid documentary delves deep into the reasons for doing it the way they did. There are great sequences showing Jeff walking through various locations used in the novel / album while musing on his feelings then and now. Jeff displays a great fondness for his material, while acknowledging the input made by various members of the production team. Some of the finest moments of this documentary are small intimate moments where Jeff sits alone at a piano and plays segments of his music. I could listen to him play these all day! I never imagined hearing an acoustic version of The Eve of the War but it is outstanding! 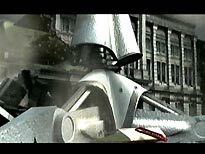 CGI footage is also liberally spread throughout the programme. Some of this looks incredible and bodes well for the CGI animated film version being produced by Jeff for release in 2007. The picture quality is slightly soft looking and is presented in 4:3 with an average bit-rate of 4.9Mb/sec. Audio is Dolby Digital 2.0 stereo at 192kbps. Menus are animated with music underscoring them. No subtitles are present. Extras consist of biographies of the stars and production personnel and a photo gallery. Unfortunately the gallery is of images taken from the making of the documentary, rather than photos from the original production itself. This is slightly disappointing but these can always be found in the book. So, just how can I summarise this wonderful package. I think I have already used my quota of superlatives. With this being one of my all-time favourite albums I was hoping for something special. Well, what Jeff Wayne and Sony/BMG have released surpasses all my wildest dreams: a stunning 5.1 mix, tons of rare stuff that’s a treat to hear, all wrapped up in a well thought out and carefully produced package. This is what Collectors Editions should be. I suspect this will be highly sought after in years to come. I have no hesitation in recommending it to anyone who loves great music and great storytelling. Please note that the first two discs (the album) are also available in standard double-album format.